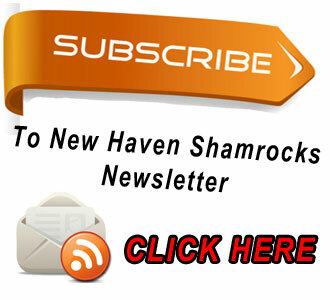 Common Core: Uplifting or Usurping Local Control of Education? (St. Charles, MO) – Public education in Missouri, and throughout America, need to adapt to the constant change of technology and global competition. Almost everyone agrees on that. Opposition is growing to the approach many Missouri officials want to implement within our education system. It’s called Common Core standards and, depending on whom you ask, it’s either a common sense approach to delivering a better education to more children or it’s a scheme to centralize education decisions and interfere with both local control and parental involvement. According to the website of the national coalition pushing the idea, Common Core standards “…provide a consistent, clear understanding of what students are expected to learn, so teachers and parents know what they need to do to help them.” That national coalition includes the National Governors Association. Right now, the standards are designed in math and English. Missouri education officials signed on to them in 2010 but the backlash is growing as the implementation is now in progress. Proponents say the approach allows schools to focus on a more narrow set of subjects and skills, including critical thinking and problem solving, which will increase academic performance across the board. Critics say that contributes to an erosion of local control of education even though there is no specific Common Core curriculum. Photo by Missouri View Points. 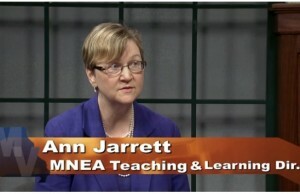 The Missouri NEA does not have a formal position for or against Common Core standards but Jarrett says that since the state’s Department of Elementary and Secondary Education signed on to the effort in 2010, the discussion at this point should be about how to implement it. How local schools get to that goal of teaching the subject concepts, supporters say, is up to them and is not controlled by any national organization. 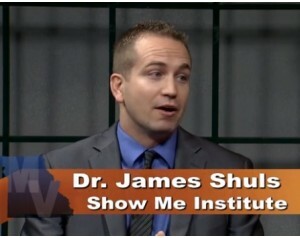 Dr. James Shuls is an education policy analyst for the Show Me Institute. He questions many things about Common Core including the basic premise behind it. Shuls wants the state to consider what could be called an opposite approach; instead of centralized and top-down, one that centers around the most local of education patrons – the student’s families. Missouri’s education policy is going in the other direction and toward implementation of Common Core standards at this point. For that reason, Shuls says it’s even more important now that parents get involved in their local school districts and question every change that’s being made in the classroom.